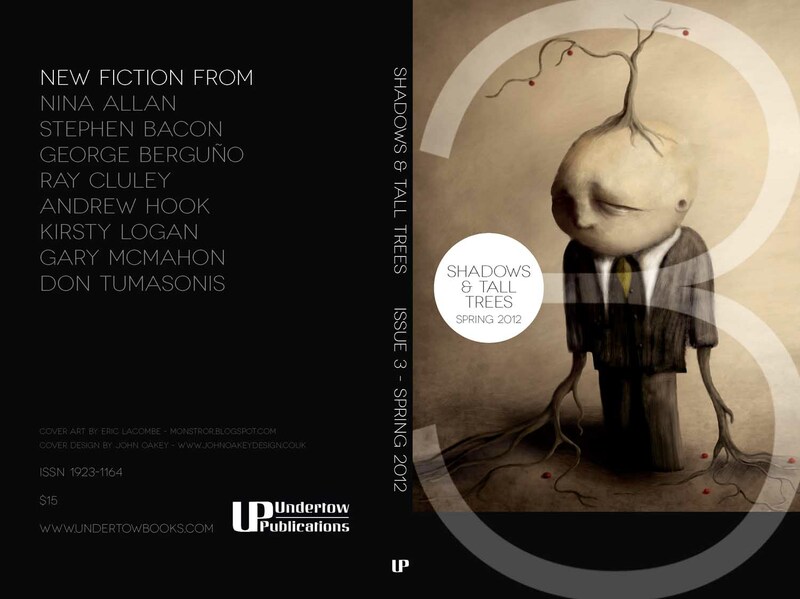 Issue 3 of Shadows & Tall Trees is now available. It looks terrific. Gorgeous Eric Lacombe cover art. Great John Oakey cover design. 55lb cream, forest-friendly paper. Perfect bound. 128 pages.